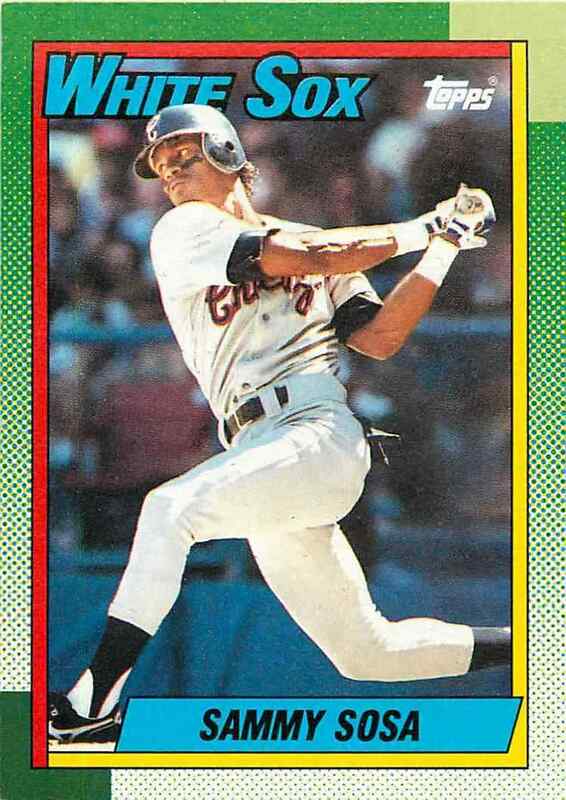 1990 Topps Baseball cards are so common that anyone who grew up during the 90's probably had some. Packs were widely distributed and could be found at virtually any grocery or convenience store. Hobby stores were a huge part of the distribution network for card companies in the early 1990's. Most cities in the U.S. had several card stores to choose from. 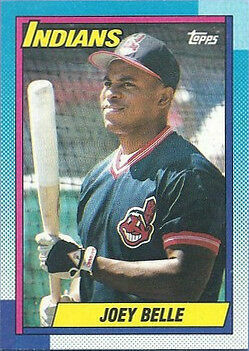 The 1990 Topps set has become famous for the No Name on Front (NNOF) Frank Thomas rookie card. Theories about how the card came to be are apart of hobby lore. 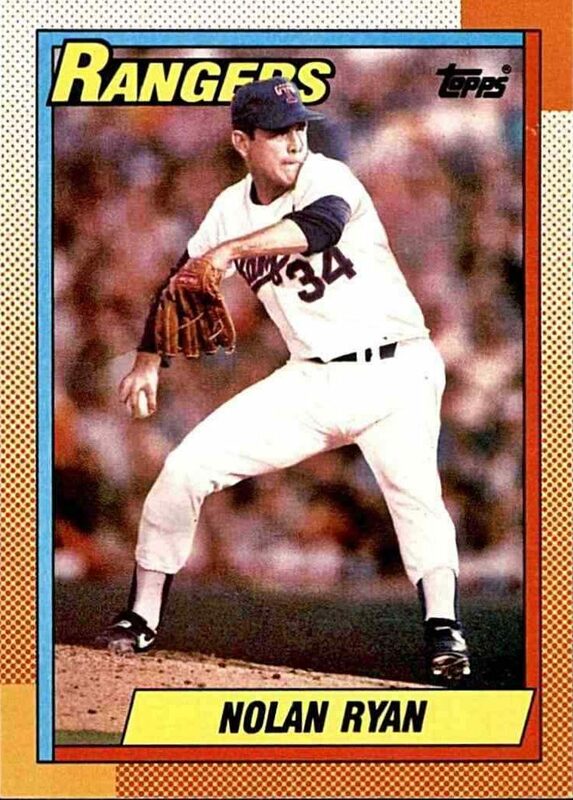 Card companies are known to use gimmicks to sell cards. 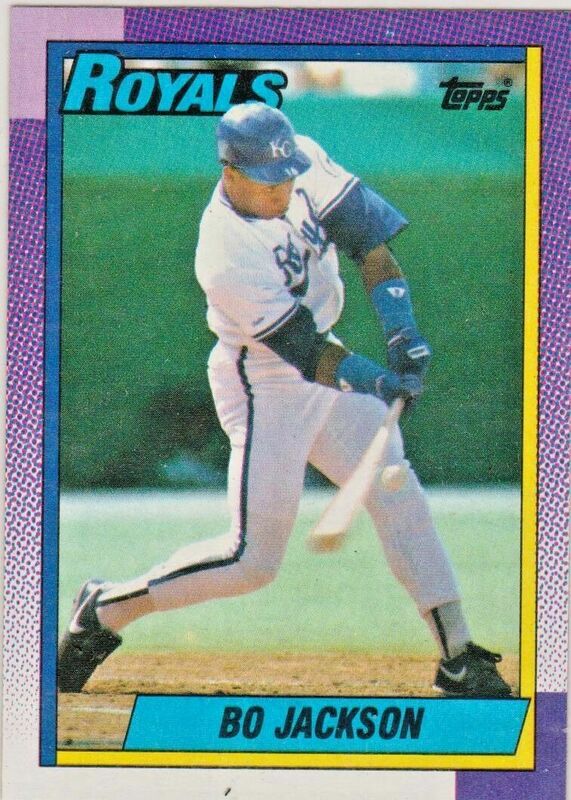 It's fun to think Topps may have produced the card on purpose, but the most rational explanation as to what caused the error comes from the Big Hurt HOF website. 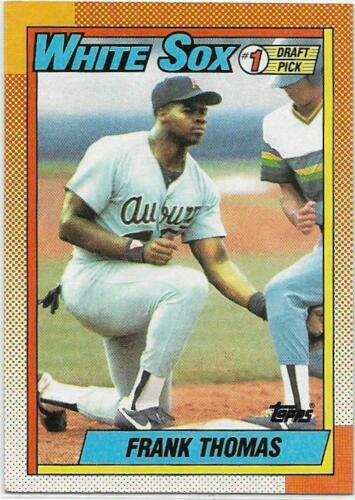 Big Hurt HOF believes the 1990 NNOF Thomas RC was impacted from a "dirty rubber blanket" during the printing process. 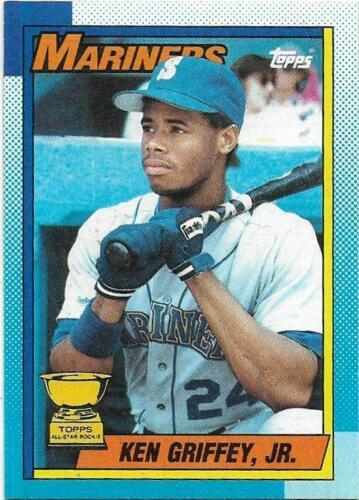 Other cards from the 1990 Topps Baseball set are also impacted by some sort of printing error. 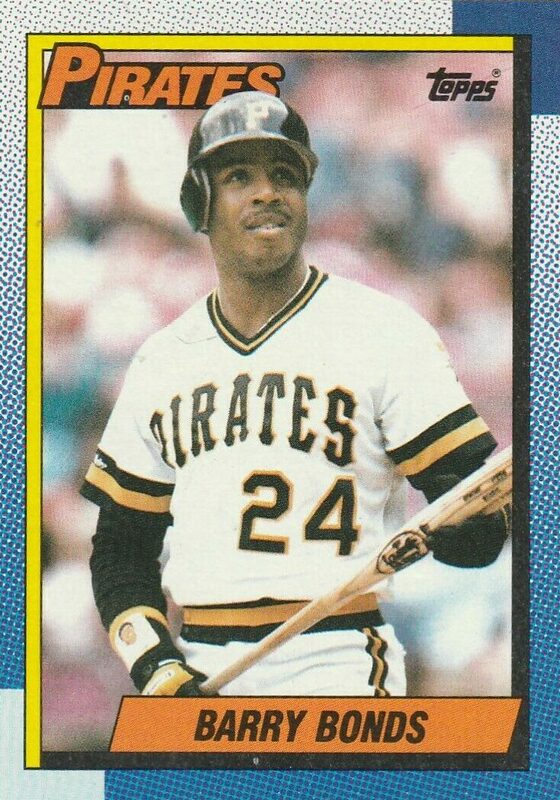 Those cards were printed on the same sheet as the Thomas NNOF rookie card. Graded versions in the PSA 6 range can sell for $2,000-$2,500 in 2019. 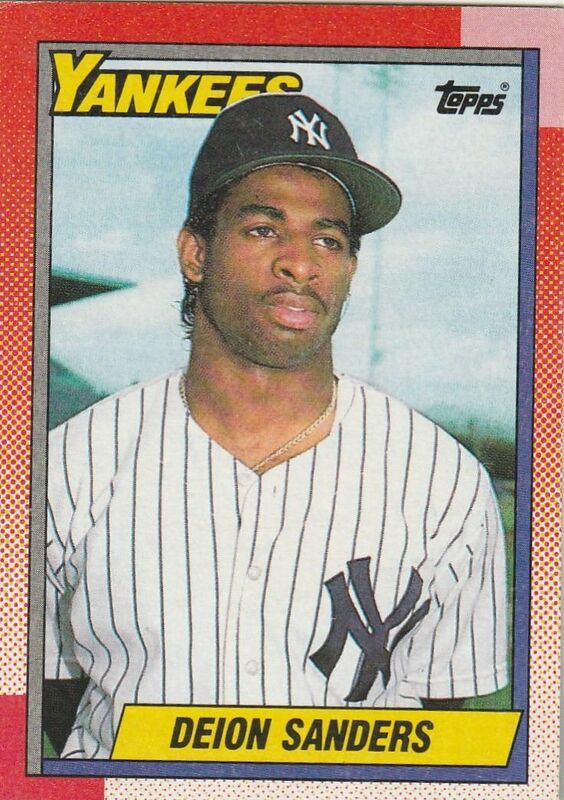 Another key card in 1990 Topps Baseball is one that allegedly never made it into packs. USA1 George Bush. The history of the card is somewhat murky. 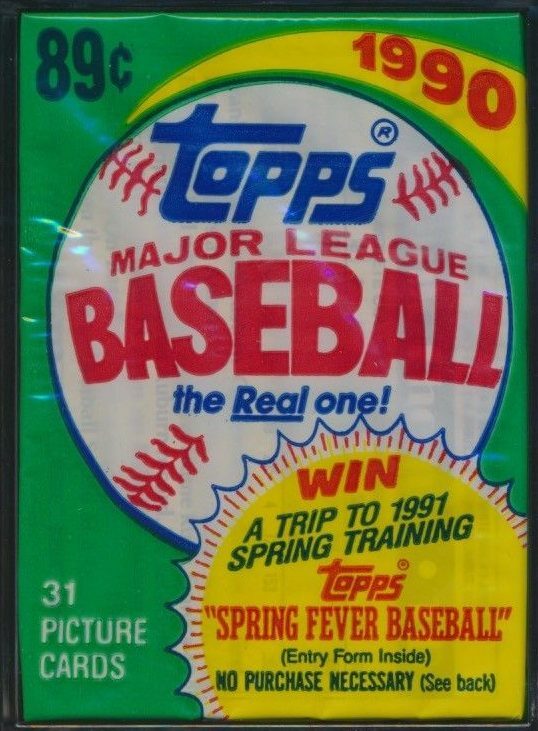 It's believed 70 were stolen from Topps by an employee, and 100 'glossy versions' were given to President Bush in the White House by Arthur Shorin, the CEO of Topps at the time. PSA has a great writeup about the history of the 1990 Topps George Bush card. 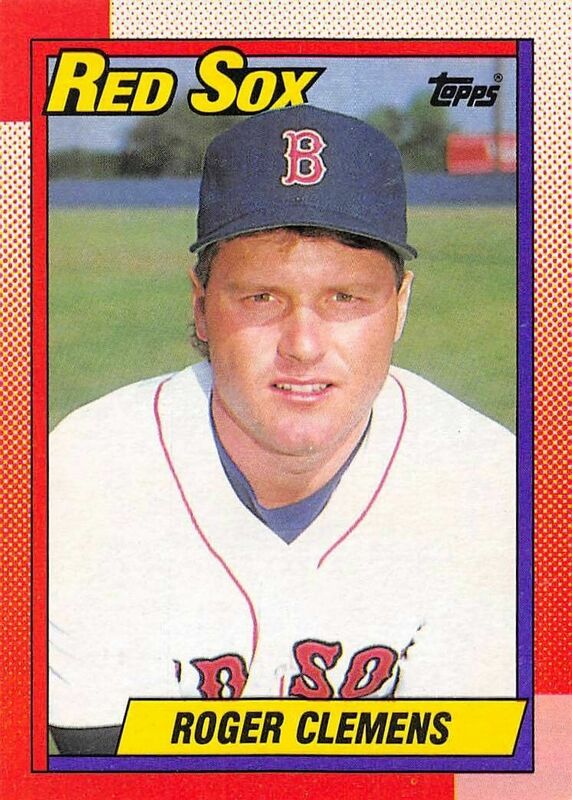 In 2019, Beckett wrote about a graded BGS 9 version of the 1990 Topps Bush card sold for $25,000 by PWCC Auctions. 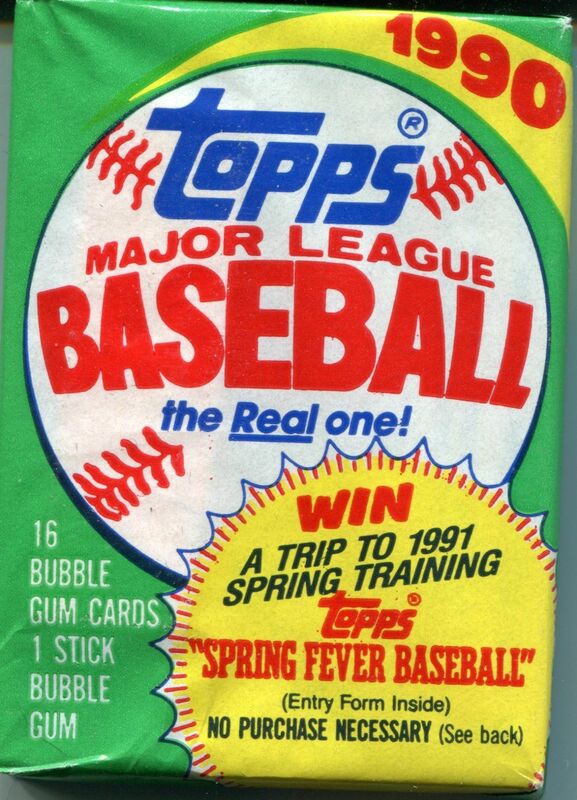 The mass production of 1990 Topps Baseball makes it so no common card from the set has any significant value. Grading companies like PSA and BGS have made it popular for collectors to chase "Gem Mint" examples of junk era cards which has helped aide the value of unopened boxes and packs. 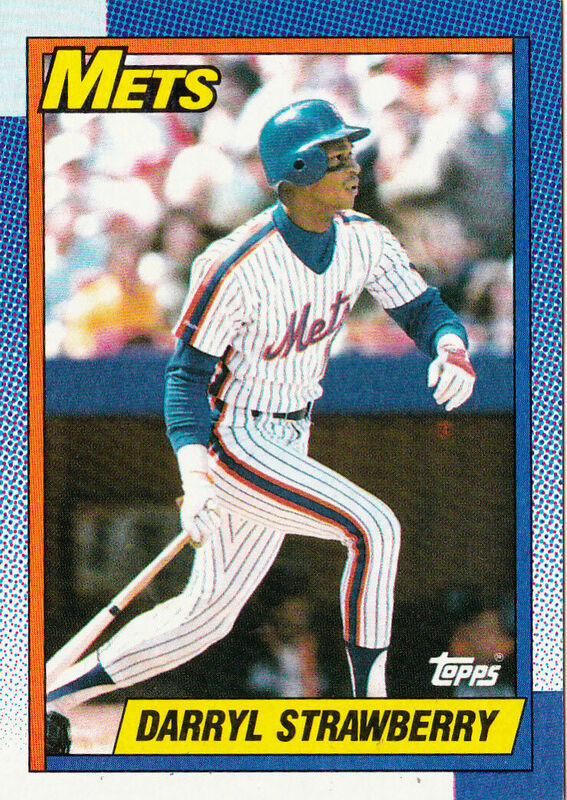 1990 Topps cards are very difficult to find in mint to gem mint condition right out of the pack because of the colored borders and older card stock. If you found or inherited some of these cards, just know aside from the NNOF Frank Thomas and George Bush card, no 1990 Topps card holds much value. 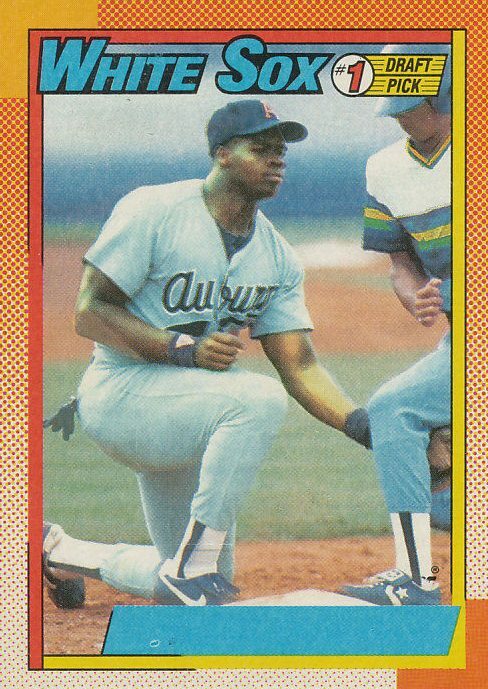 Key rookie cards in 1990 Topps Baseball include: #283 Albert (Joey) Belle, #331 Juan Gonzalez, #414 Frank Thomas, #692 Sammy Sosa, #701 Bernie Williams, #714 Marquis Grissom, and #757 Larry Walker. Gypsy Queen returns for another season featuring a colorful retro look, wide-ranging base card set, unique parallels, and “unannounced hidden gems.” 2019 Topps Gypsy Queen Baseball comes with two autographs in every box. The 300-card base set covers rookies and veterans featuring a mix of past and present players. 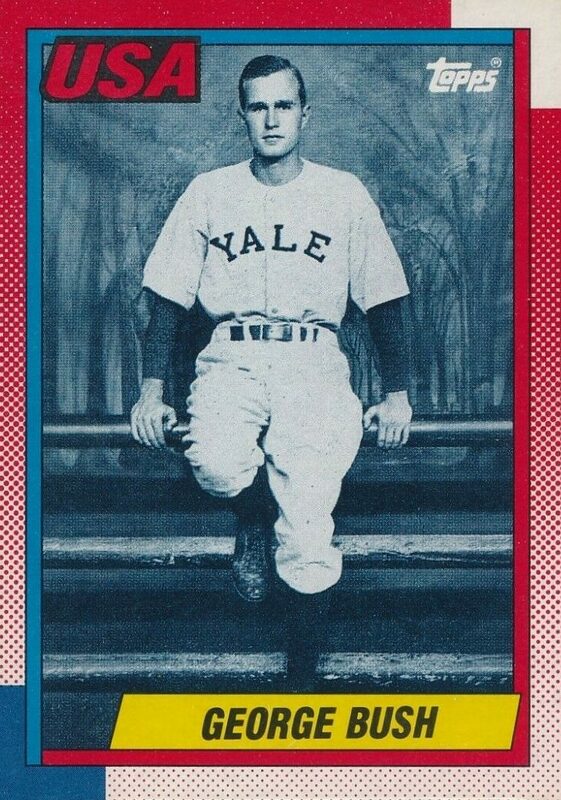 Parallels include Missing Nameplate, Indigo (#’d/250), Black & White (#’d/50; Hobby only), Red (#’d/10) and Black (1/1) parallels. Gypsy Queen baseball includes a number of unique insert subsets. Jackie Robinson Day Image Variations showcases current players wearing #42 jersey to pay homage to Jackie Robinson. The Short Printed Base Cards highlights retired players and all-time greats. Among the inserts are Fortune Tellers Minis with Indigo (#’d/250), Green (#’d/99) and 1/1 Black versions. Also, the all-new Player’s Weekend variations featuring current stars in their Player’s Weekend Uniform. Returning this year, Tarot of the Diamond with Indigo and Black versions. Gypsy Queen Autographs features autographs of active veterans, rookies, and MLB retired greats. Parallels include Indigo (#’d/150), Black & White (#’d/50; Hobby only), and Black (1/1) parallels. Mini Rookie Autographs will be limited to just 99 copies with Black & White (#’d/50) and 1/1 Black parallels. Also in the mix will be Fortune Teller Mini Autos and Jackie Robinson Day Image Variation Autos. Each will have 1/1 Black versions, while the Robinson Black & White versions will be limited to no more than 42 copies. Gypsy Queen comes with Auto Relics too, with Autograph Garments (#’d/50) with jersey or bat pieces and 1/1 Black parallels along with autographed patch books (#’d/20), Pull-up Sock Auto Relics (#’d/10) and Bases Around the League Auto Relics (#’d/20). Other inclusions are Power Performers Portrait Art Patch sketch cards and a new type of box-toppers, a chrome card showcasing design work of the Gypsy Queen era. Parallels include Indigo (#’d/150), Gold (#’d/50), Red (#’d/5), Superfractor (1/1) and autographs (#’d/25). Blaster box bonus packs will have five Green parallels and can be found in other retail packs. Also, retail-only will be Green Tarot of the Diamond cards (#’d/99) found in all three formats, 24-pack display boxes, blasters and value packs. This entry-level baseball card collecting product of Topps focuses more on the fun side of collecting. Returning for its 20th season, 2019 Topps Opening Day Baseball comes with in-game photography of players and mascots. Every pack contains insert card, autographs, and relic cards. The 200-card base set features a mix of Series 1 and Series 2 players including popular superstars, rookies, and rising young players. Parallels include Opening Day Edition (2,019copies) and 1/1 Opening Day and printing plate parallels. Inserts include 150 Years of Fun, Sock It To Me! (features players wearing high socks), Rally Time!, Opening Day, Mascots, Team Traditions and Celebrations, Dugout Peeks, and Base Card Variations. Other inclusions are autographs and Relics which includes Opening Day Autos, Base Card Variation Autos (New), Mascot Autographs, Opening Day Relics, Mascot Relics and Mascot Autograph Relics, and the new Diamond Relics and Diamond Autograph Relics.